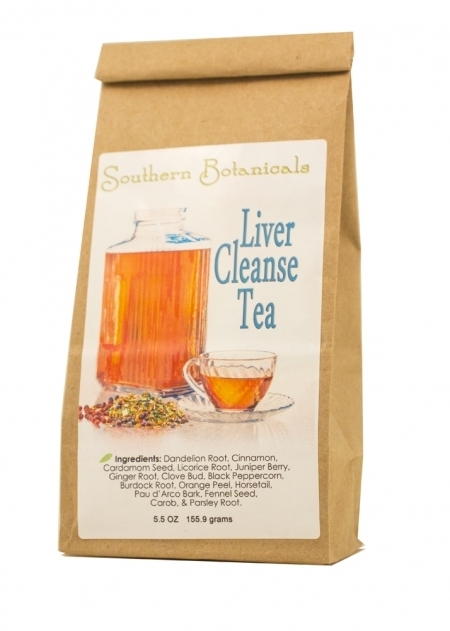 This delicious tea helps support liver function and restore cellular health. Based on an ancient East Indian tea formula for digestion, the herbs in this formula are famous for stimulating, cleansing and protecting the liver and gall bladder. Bile production is stimulated by these herbal ingredients, promoting good fat and protein digestion. They also assist the liver in its breakdown of naturally occurring cortisone. It has strong anti-parasitic properties. A wide variety of suboptimum conditions result from a sluggish liver, including lethargy, skin problems, foggy thinking and poor memory, indigestion, low immune response, inability to lose weight, poor quality sleep and hormone imbalance affecting blood sugar as well as other hormones. 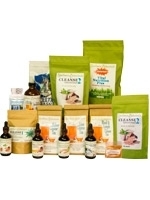 Cleansing improves your liver's function to support the health of all body organs and restore balance and health. The teas were fine, and I have had positive results from them, and so has my family in California. As a matter of fact, my step father is recovering from liver disease, and was nearly on his death bed, the doctors thought he would never make it, but he has been home for about 6 months, and is doing better and healing rapidly. He drinks the teas for liver and immune systems 5 times a day, and the doctors have been very impressed how well he is doing and how fast he is getting his energy back. He had some bowel upsets from the liver condition, but has gotten regular now, and some of his weight has returned to him. Plus he has changed his diet to vegetarian, with lots and lots of carrots. - D.B. Groves, TX. These statements have not been evaluated by the FDA. 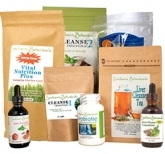 Individual results taking herbal preparations vary, and similar results are not guaranteed. This information is for educational purposes only and is not intended to diagnose, treat, cure or prevent any disease. Consult with your health practitioner if you have a health problem before using this or any dietary or herbal supplement. Ingredients (*Organic, +Wildcrafted): Dandelion Root*, Burdock Root*, Cinnamon Bark*, Carob Pod*, Fennel Seed*, Cardamom Seed*, Clove Bud*, Black Peppercorn*, Orange Peel*, Juniper Berry*, Ginger Root*, Parsley Root*, Licorice Root*, Pau d'Arco Bark+, Horsetail* and Chanca Piedra Leaf+. A delicious tasting, but potent tea.These ingredients are not powdered, but are dried herbs, seeds, roots, bark and berries. It is recommended to soak the ingredients in pure or distilled water overnight before simmering in the morning to get all the properties and benefits. Makes at least 10 1/2 quarts of tea. More than enough for a 5 day Liver Cleanse. See our video on how to make loose tea. Soak 2 tablespoons of dry tea in one quart of water overnight. Bring to a boil in a covered pot and immediately turn down to simmer for 15 minutes. Best used within 24 hours. 1.Soak 2 Tablespoons of dry tea in 1 quart of water overnight. 2. Bring to a boil in a covered pot and immediately turn down to simmer for 15 minutes. Best used within 24 hours. 3. Drink 2-3 times a day, 1-2 cups each time. 1. Soak 3 Tablespoons of dry tea in 1 quart of water overnight. 3. Drink 3 times a day, 1-2 cups each time. ~Soaked herbs and water can be ground in a blender before simmering to make a stronger dose of tea. ~ This tea is so potent, you can reuse it a second and third time. Put strained herbs in refrigerator until evening to soak again. 1. Add water and another 1 Tablespoon of dry tea to leftover strained herbs and soak again overnight. 2. Simmer the next morning and enjoy. 3. Discard leftover soaked herbs after 3 days. 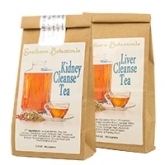 Liver Cleanse Tea can be used as a coffee substitute. It's caffeine-free but makes you feel more awake and energetic with no side effects. Use to relax and as a digestive aid in cases of over-eating. Take it when the flu is going around and you need immune support. NOTE: This formula is even more effective when used in conjunction with the Liver Cleanse Concentrate.